If you think of sled dogs, you most likely immediately think of Siberian Huskies. While these dogs are commonly used for dog sledding, they’re definitely not the only breed used. What kind of dog is suited for becoming a sled dog? 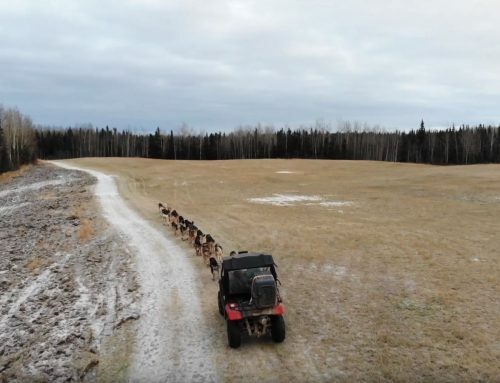 It’s obvious that a team of chihuahuas won’t get you very far in the Alaskan wilderness. So what qualities are needed for a dog to be a top sled dog? 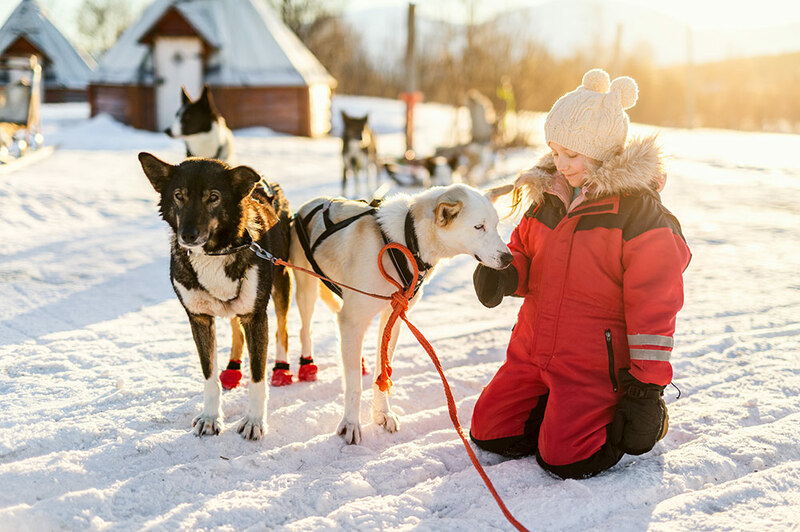 Let’s look at some of the top qualities that sled dogs need to have, as well as some of the most common sled dog breeds. One of the more obvious qualities needed for a sled dog is strength and athleticism. These dogs need to be able to pull things many times their own weight for long periods of time. Not only do they need strength, but they also need to have the endurance to run and be active for hours (or even days) at a time. Specifically, they need to have strong leg and back muscles to run, pull, and push at a consistent and quick pace. 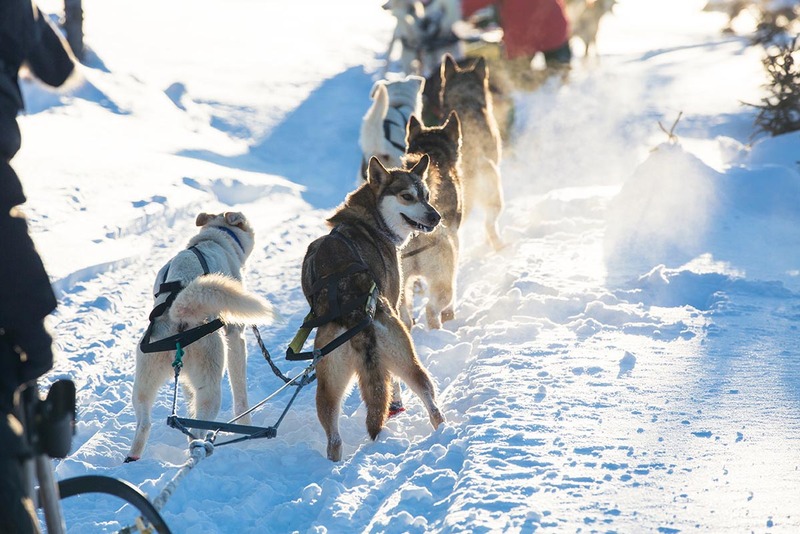 While you can have dog sledding in a number of environments around the world, one of the most popular environments is in cold and wintery places like Alaska, Norway, and Greenland. 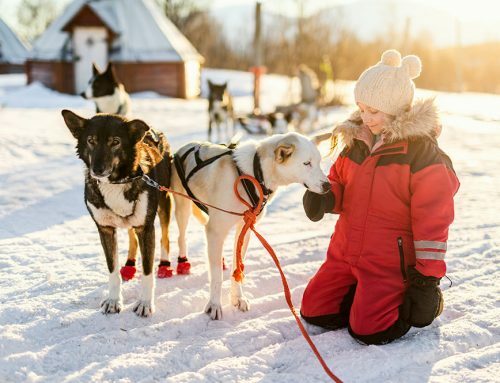 The cold temperatures mean that sled dogs need to have a thick coat to keep them warm even in the harshest conditions. They should also have somewhat tougher paws in order for them to be suited for long days running on cold, jagged, and rough terrain. They should also be able to tolerate dog booties to protect their feet (not all dogs love this!). If you’ve ever interacted with dogs, you know that they all have different personalities just like people do. Some dogs don’t like being around other dogs while others thrive when in a pack dynamic. 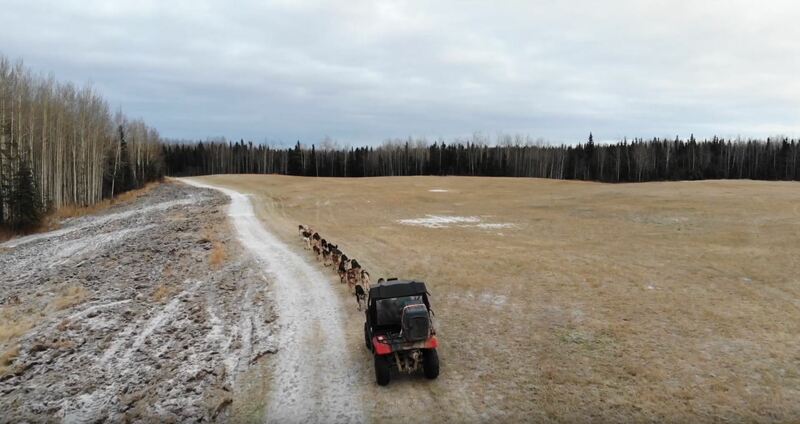 In general, a good sled dog will work well in a pack of dogs as a team while also being independent and hardworking. Sled dogs must want to please their trainer/owner and want to work hard all while working together with the other sled dogs on the team. 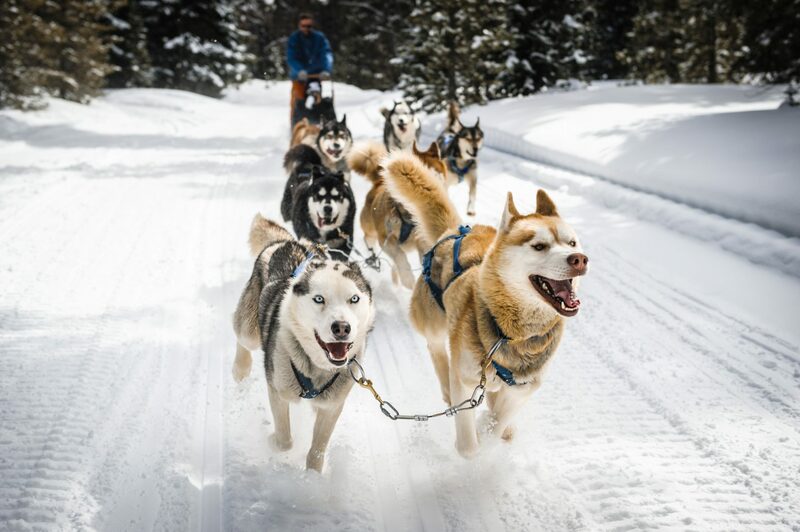 While technically any breed of dog could be a sled dog, though not all are allowed in the Iditarod, there are three breeds that are most commonly used: Siberian Huskies, Alaskan malamutes, and Alaska Huskies. 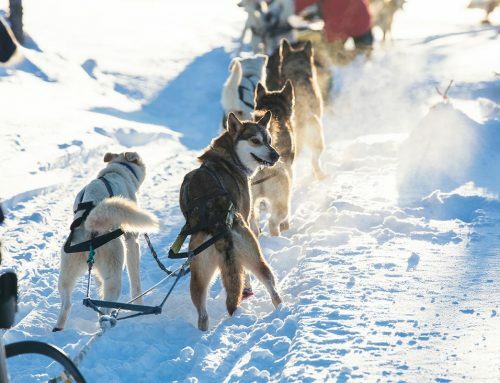 These three breeds of dogs have all of the qualities necessary to be amazing sled dogs. They’re athletic, built for cold winter weather, and work well in a pack dynamic. To be a good sled dog, the animal needs to be lean, strong, attentive, and ready for the cold. They’re expected to pull people and sleds over long distances, so they need to have all of those qualities to be successful, safe, and happy. More questions about sled dogs? Don’t hesitate to contact us! 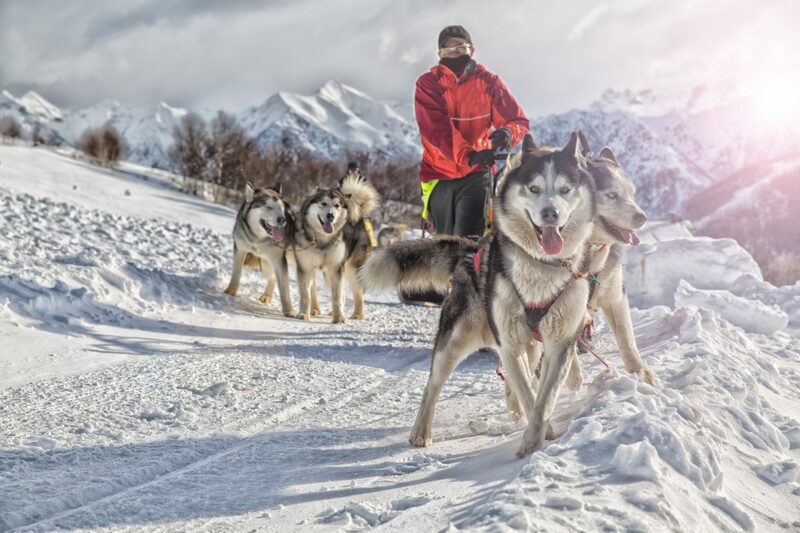 We can also set you up with a unique and fun dog sledding adventure.